In our previous article, I wanted to differentiate between the gifts and the Gospel. When these get confused or switched, an abuse of the Spirit of God generally follows with an accompanying injury to members of the Bride. Because the Gospel is primary, and it is the work of God’s Spirit to empower it and convict with it and then restore mankind to himself through it, the Spirit-gifts will always concur with the character and nature of the Gospel. The Spirit will neither fight against the Word nor represent it in a false fashion. Therefore, the gifts are guided by the Gospel. They will correspond to all of the facets of the Gospel message and activity. When a need is met that points men and women to the Gospel, it is the Spirit who is testifying of himself and bringing men to the truth. The Apostle Paul stresses in 1 Cor 14:23 that the gifts will be orderly, they will be for the building of the Body, and they will be for an accurate representation to unbelievers. In other words, if they don’t correspond to the nature of the Gospel and they abuse the Spirit who is giving them, then the result is that people will think the church has gone mad. Unity breaks down within the church and non-believers are repulsed and repelled away from the church. The Lord is very careful to instruct us through Paul that he cares how the Gospel is presented to unbelievers and represented in believers. So then, how the Spirit imparts his gifts will testify to what the Father is doing through the Gospel; for believers, edification, and for unbelievers, clarity (so that they will worship God and declare that God is really among you. 1 Cor. 14:25). Some examples might include when believers show hospitality that takes on the richness of ministering to the stranger or outcast, not just putting on a dinner party. Another time might occur when discernment is practiced that the Lord protects the testimony of his people and his good name through holy decisions. 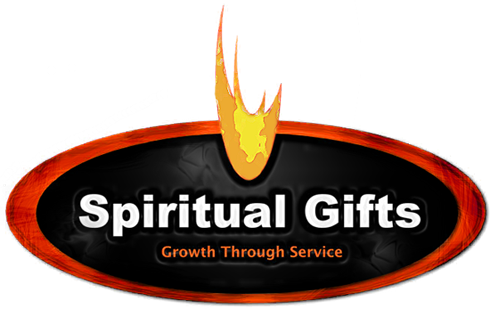 We often hear about the Spirit’s activity when someone is sharing their Faith-story and is amazed that many verses or “just the right verse” came to mind in the evangelistic gifting. We also see Gospel-guidance when various members start to pray over a simple request that continues to grow into a great burden and the Holy Spirit infuses them with energy and strength to pray with great depth. And, the Holy Spirit quite frequently graces his people simply when they are showing the love of Christ to one-another that unbelievers literally take notice and say, “What’s that?” There are tens if not hundreds of examples that can demonstrate how the Spirit will testify of himself and demonstrate the Gospel as beautiful and powerful. If you can think of one that you’ve seen, would you share it with me? In our next article of this series, we will look at how the gifts accompany and flow through service and character. I hope for God’s glory— in you! When we walk by faith and not by sight we allow ourselves to be a mirror reflecting his divine light. Lets keep doing what we do and I am praying for all of you, I hope you will do the same for me and my crew. I am all about building this network of faith because together we can be a bigger reflection of his light and brighten up any dark place. The world needs it! Keep doing what you do with these posts and God Bless you! Its is amazing to see how he uses us all in such unique ways, we are walking different paths but the direction is the same, in Jesus name! We are sharing these messages because we know this is what the lord wants us to do!